1) Streaming on Twitch.tv. I focus on Magic: The Gathering Online, but I have been known to branch out into other games from time to time. My ultimate goal on Twitch is to grow a family-friendly community of gamers. I want my stream to be a place where people can come hang out (virtually, of course) and talk games with other friendly, welcoming gamers. If you love Magic: The Gathering (and other games), and you want some fun content that you can have on while your kids are in the room, check out my Twitch channel. 2) Publishing RPG products. The ever-growing line of RPG products by Outsyder Gaming has been a lot of fun to produce. I started small in the self-publishing arena, and with each product released, I feel more and more comfortable with the process. It's a steep learning curve, but my productivity has increased as I've gotten experience, and I'm excited to keep things moving. 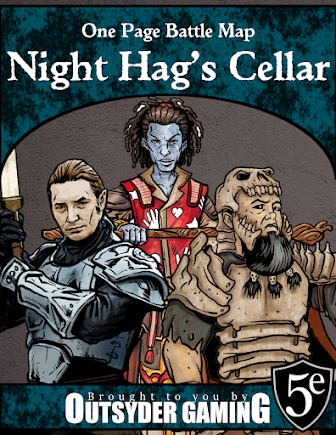 Check out my store at DriveThruRPG to see what I've released so far. Note that I'll be writing at www.copperdragongames.com for the foreseeable future. Content that is here will remain here, though!